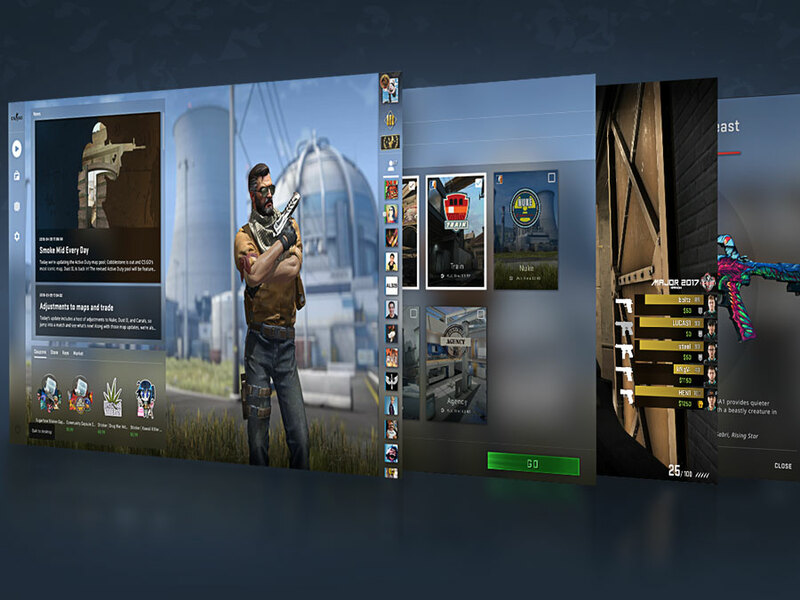 Today we’re launching a preview of the all-new Panorama UI for CS:GO. This visual overhaul is the most substantial change to the look and feel of CS:GO since the game was released in 2012. From the Main Menu to the Scoreboard, the entire experience of interacting with the game has been updated. We’re still working on Panorama, but the biggest pieces are ready so it’s time for the CS:GO community to try it out! Panorama UI is currently available as a beta release, click here for details on how to test the update. Note that this release of Panorama UI only supports “Practice with Bots.” You can also play with a friend by joining a party and starting a practice session.